Top Rated security company Brisbane. This is Queensland-based security company which provides private security solutions with added values, operating principles and high-quality services and experience. It was born with the objective of guaranteeing quality security services with the required integrity and confidentiality. Qld Diamond has a dedicated team of experts that will attend to the needs and circumstances of each case, offering the solutions that best suit each person, company or group. The extensive experience of our staff, both nationally and internationally, makes it possible to execute intelligence strategies and active and passive security individually, guaranteeing excellence in our services. Why Choose Qld Diamond Security As A Local Brisbane Security Company ? Government licensed & fully insured security company. Well-known in the industry & the top performer in facilitation. 24-hours supervision, periodically & randomly checks the security officers. Highly trained, experienced & professional team members only. Up to date with the current industry standards & the latest security equipment. TSCM (Tactical Security Counter Measures), CCTV, Alarm systems installation & monitoring. Today I’d like to discuss hiring a security guard. A security guard primary duty is prevention and deterrence of crime. Security personnel enforced company rules protect lives and property. In addition to basic, security guards are often trained to perform specialized tasks such as arrest and control including handcuffing and restraints operate emergency equipment, perform first aid, CPR, take accurate hand-notes, and write detailed reports along with performing other tasks as required by the client they are serving. Qld Diamond Security provides professional security guards and only works with security guard companies that will provide security guards that will meet all your requirements. Hiring the right security guard is vital for the protection of those involved your properties and lives. Brisbane’s locally owned grown and managed security company established in 2003. Qld Diamond security company is a Queensland based full-service contract security guard, home and office security and security patrol company that has earned itself a good reputation among security companies. We take a man’s pride in the security service that we provide and have a philosophy of going above and beyond for our clients. From day one you’ll notice a welcome difference in a way that we do business. Unlike other companies each and every person, you’ll meet in the process of setting up your property protection for your business will truly care about doing the job right. 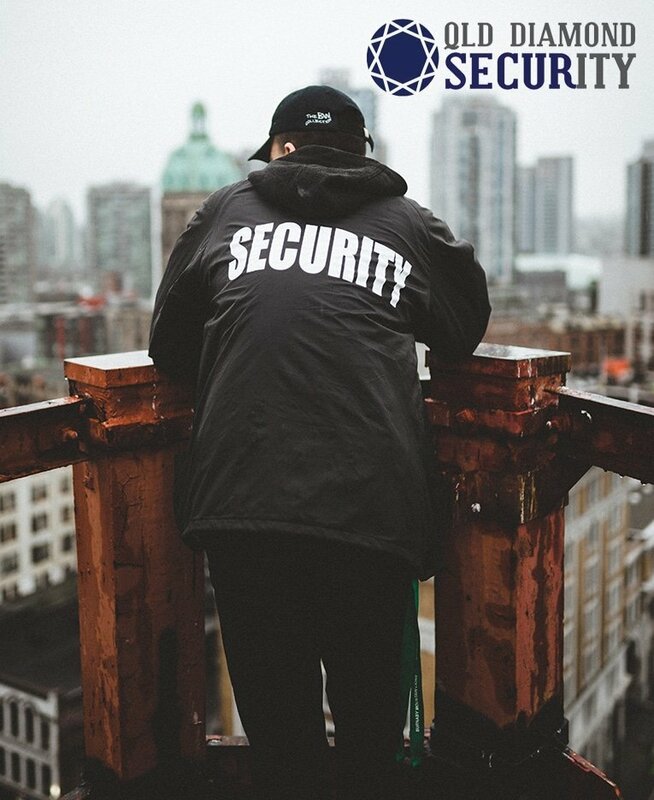 These individuals have experience in all aspects of servicing the security guard contract and can, therefore, make an informed decision on exactly what type of coverage is necessary to perform the applicable goals required. Furthermore, our security professionals will always be there to answer questions and be a general liaison for the entire duration of the security service that’s in place. Dedication is a catalyst for excellence and we’re dedicated to proving unprecedented customer service and satisfaction. Our expert team is available 24 hours a day seven days a week for our client. Contact us today at 1800 553 788 and discover why we’re Brisbane’s best security services. So moving on to the next type of question, who will you are protecting. So there are probably three main categories you’ll have your foreign dignitaries and or politicians you’ll also have celebrities who definitely want you know who need to be able to walk among the public but also feel secure and you also have a business and wealthy folks. Now the business and the wealthy folks there are some people depending on the threat level and let’s say the threat level is very low who just have money they just want the extra layer security so they can sleep at night. For them, it’s essentially a living breathing security system kind of like the one that you have on your wall panel if you have a security system so for them. Some people don’t really need it. Others actually have a threat against their life. They could be you know they could have screwed some people over business and there could have been a retaliation they could be just shady individuals and some you know illegal business dealings. Also at the same time, they could just try to think they could have just been across the wrong person or maybe in general that they you know they have gangs that are after them it could be any reason why somebody feels that the threat level needs to be heightened. And you know they could have just laid off a bunch of people as well so you know when you lay off like not just 50 but 100 or 200 or even 1000 people there are some disgruntled individuals out there who will take it upon themselves to go after the person responsible so more than anything you’ll probably be dealing with business folks or wealthy individuals who are going to need executive protection. Sometimes they need it for a short term sometimes they need it for the long term. Celebrities are celebrities for the most part and for the rest of the rest of their lives so they’re always going to need security and dignitaries you know depending on when their stint is up. They may not have it unless they are. One of the things that we’re trying to do is change the conversation about executive protection. Executive protection isn’t just purely about hard skills. There’s a soft skill component that’s super important and part of changing that conversation is talking about what it is that executive protection actually does! What executive protection actually does is keep people safe happy and productive and it has a lot to do with productivity support. That’s the real return on investment for having an executive protection program inside of the corporation. With an executive protection program, we create a competitive advantage for a corporation. In the next 10 years or so about 25 percent of the Fortune 500 are going to be deeply involved in emerging markets. Emerging markets present different challenges whether they are from a safety and security standpoint or an infrastructure and logistics standpoint and well-run executive protection program will help companies get into those places safely and efficiently. And if you can do that better than your competitors can then that provides somewhat of a competitive advantage. So that right there is a pretty big value add. We have a solution. Talk about the fact that we’re not a contractor. We’re not a vendor. We’re a specialist partner. So as a specialist partner we exist to provide solutions that keep people safe, happy and productive. That’s how we’re changing the conversation around executive protection. It’s not about guns, it’s not about fighting, and it’s not about driving. Those skills are a given. They must be there. They must be trained. But what we’re really focusing on is productivity support for executives. How Does A Wireless Security System Work? Today we’ll talk about wireless security systems and how a wireless security system works. First, let’s explain what a wireless security system is. A wireless security system is a security system that does not utilize any wiring. 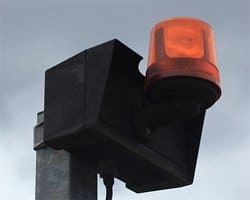 These systems are typically connected to an alarm monitoring station via a cellular device built into the main control panel. But how does it all work? You’re asking. It’s pretty simple really. Each wireless security system has a main control panel and a series of sensors around the house. Sensors may go on your doors, windows motion sensors on the walls or smoke detectors on the ceiling for example. These sensors communicate wirelessly to the control panel using a proprietary wireless radio frequency. The frequency is proprietary and will not interfere or interrupt any other wireless devices you have in your homes such as wireless internet or cell phones. The main control panel generally uses a built-in cellular module or communicator to send signals to the alarm monitoring station via cellular towers. Cellular security system monitoring is by far the most reliable and is now a staple of wireless home security systems. So to recap wireless security systems use a proprietary frequency to communicate between sensors and to the control panel. The control panel uses a built-in cellular device to send alarm signals to the monitoring station. Qld Diamond Security can set up for you by researching and ranging the top wireless security systems. Why should you have to learn a security system? Statistics prove that homes with an alarm system are three to four times less likely to be burglarized. Thieves are looking for an easy scope and they’ll move on to a house without an alarm. Then try to steal with the one that does have an alarm. In the event that a thief does enter your home, the alarm will keep the same length to cause more damage or steal more items. Although the security alarm system is a good investment and alarm system will bring you peace of mind when you’re at home or when you’re away. Over the years, alarm systems have been devolved to do much more than just there to deter crime. Your alarm system can act as a panic system that you can activate from a remote device that you carry with you on a keychain or in your pocket. It can also be utilized for medical emergencies and activated remotely. If you get hurt at home and possibly fall down with no one there. Once you activated, set the stage you could come across on a two way and talk to you to make sure that you’re OK or send the correct authorities. If your home is burglarized, the lost property can be devastating. Security alarm systems can support smoke detectors, neat detectors in your home to alert the authorities to prevent a fire from destroying everything. You can even add a carbon monoxide detector to your house system. These devices will not only alert you but also the authorities if you have central facial monitoring and save your life. Some of the newer launch systems can provide home automation features such as controlling a thermostat. It has been proven that this feature alone saves hundreds of dollars every year in home energy costs. Another benefit to consider is their security system will add to the resale value of your home. Adding alarm systems a small investment when you consider the increase in your home’s value over time not to mention keeping thieves from stealing. What’s your position? In my opinion, the main goal should be to get a license plate number of any intruder with a timestamp and have it upload to a cloud without a monthly bill for monitoring. In my opinion, facial recognition is only second to getting the license plate number. There are lots of factors in selecting a home security system. Let’s start with the placement. The best camera placement I found to get a license plate number of a car in my driveway or in the street was right around where my driveway porch light was. This only works with a strong camera. Therefore I had to find the perfect camera and a porch light that fit each other and look discrete and not too ghetto. Camera selection of the biggest factors in selecting an outdoor camera is that it is strong enough to pick up the license plate number once again. It can’t stress that enough. I chose a camera that is very focused. It shouldn’t have a fixed size or zoom. This is because you’ll have to adjust the lens so it is close enough to pick up the details of a license plate number you have zoomed out enough to pick up enough landscape or entire landscape. – Property crimes are crimes that have the intent of taking the things you own away from you. – Over the past few years, we have seen this trend lead to criminals breaking into a home during the middle of the day, as opposed to the middle of the night. – These thieves know that most homes have everyone working at a job and most likely, the house is empty during the day. To counter this, more and more people are installing home security systems. – But which is better, installing it yourself or having a professional company install it for you? – Typically, the difference between DIY (Do It Yourself) installations and those that are professionally installed is the cost of the system. – Professional installation costs are subsidized with the monthly monitoring fees, as is the part of the coast of the system itself. – This is why you will be required to sign a two or three-year agreement for monitoring services. – Professional installations can also take better advantage of houses that are pre-wired for security systems, whereas DIY installation will rely almost entirely on wireless technology. – Both have their advantages and disadvantages, but generally, they will both provide you with the security coverage that you need to protect your home and belongings. – Of course, there are also some self-install systems that can be more expensive than those that come with monitored systems, as there is no end to the amount of coverage you can provide your house. – To get a better idea of which system would be better for you, start by making a list of what it is that you want to protect and how you want to protect it. – Start with the basic door and window sensors and add extra coverage for those special areas. – One thing that is recommended is to create a floor plan of your home and mark on it where all the doors and windows are and which room is which. – You should also include anything on the exterior of your home that a criminal can potentially use to gain access to your house, like a trellis that goes up to a second story window. – Once you have a floor plan and have marked the potential ways that a burglar can gain access into your home on it, you’ll have a good idea of what type of security monitoring equipment you’ll need to install to monitor that location. – Keep in mind that this is only to give you a working idea of what you need to provide basic coverage. – As you research home security systems, you will, no doubt, find better technology and the various ways that you can provide protection for the same area. – When you know what it is that you want to protect and have a reasonably good idea of how it can be protected, start comparing the systems available for DIY and professional installations. – Some DIY units allow you to start with a base station and add components as you expand your system. – Some pro systems offer the same capability. – You will also need to decide whether you want the system to be monitored by a central station, or if local alarms and possibly a phone call to your cell phone are enough notification. – Everyone has different needs and only you can decide which type of monitoring is best for you. – Keep in mind that while central monitoring is generally more expensive with its monthly fee, it also allows your home security system to contact a live person 24 hours a day, seven days a week, whom can make decisions and take action on your behalf. Best CCTV Installation Services By Qld Diamond Security Company Brisbane, Queensland. Okay, are you looking to equip your home or office with the ultimate security setup or home automation solution? Then you need someone you can trust. And that’s where Qld Diamond Security comes in. We’ve been in business for more than 15 years serving many homes and businesses with security camera installations, home automated services and more. Our experts will provide you with the perfect 24/7 security solution for your home or business, guaranteed. The best part is with Qld Diamond Security, you’ll get always tech support and that one on one attention you deserve. And hey if you’re not 100% sure the offers, no commitment contact for a FREE QUOTE! If you need more information please call us at 1800 553 788 and we’ll design a system for you today. Licensed Security Officers to keep your assets safe. Qld Diamond Security provides a professional, reliable and skilled security guard service for a diverse range of clients including commercial property, retails sectors, events and corporate. We can provide Security guards uniformed which create a visible presence known as overt or in plain clothing being covert. We listen to our clients needs, conduct site inspections, provide a scope of works and create ongoing relationships that provide piece of mind and security to our clients assets. All Qld Diamond Security guards are Government licensed, first aid trained and have a variety of backgrounds including police and military. The Static guards will communicate openly and politely with your staff and customers all the time. We aim to provide our clients a professional, quality and cost effective professional service to meet and exceed expectations. Our experience and expertise within the Security Industry and our standard operating procedures with our highly trained security event officers is all part of the successful formula to keep customers, staff, event organisers and hosts safe during an event. Whether you have a few to a hundred or thousand attendees we can provide you with the relevant resourses to help ensure the saftey of you and your guests at the special event. 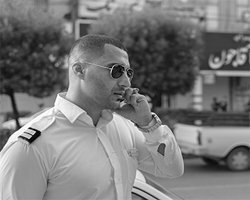 All our guards read and write fluent English and have a high level of customer service. All officers are supervised by our highly trained security manager and will work you and your team to any personalised security requirements. Our licensed and trained security guards are also covered under our Public Liability insurance policy. Without a security presence you may be leaving yourself open to possible litigation should an incident occur. However, should an issue arise while we are around, your legal liability becomes severely reduced. All our guards have a minimum of the government accredited training of Certificate III in Security operations with annualised CPR recertification. QLD Diamond Security are acknowledged experts in electronic security control. We investigate requirements and update existing electronic security systems. The latter is essential. As crooks get smarter and neighbours harden their defences, it is essential to stay ahead of the game by maintaining an effective deterrent. We supply, install, support and maintain an extensive range of cctv and alarm systems, designed to meet the needs and budgets of Brisbane businesspeople and homeowners. 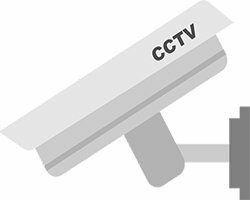 For example, our range of four and eight channel internet protocol cameras incorporate digital video recorders with one terabyte hard drives. These enable you to stay in touch via iphone, blackberry, ipad or desktop no matter where you are. Our cameras are available in a variety of options, because we believe that in electronic security one size definitely does not fit all. To mention but a few we supply fully body, vandal-resistant, mini, bullet and covert cameras. That way we are sure that whatever you need covered, we are able cover well. We also stock a full range of electronic security alarm components. This enables us to respond instantly to urgent needs and maintenance calls. In addition to our intruder alarms and wireless systems we keep stock of magnetic reed switches, duress alarms, panics, back-up batteries and monitoring equipment. Electronic security systems are only as good as the hands that install them. A single dry joint can generate a multitude of false alarms that can bring your signals into disrepute. A pair of wires installed the wrong way round can make your protection dysfunctional at the time when you need it most. QLD Diamond Security employs skilled and formally-trained technicians who appreciate our standards, and understand the electronic theory behind what they do. Connecting up an electronic security system is more than stringing a few wires together. This is why we do not sell equipment without installing it, and testing it too. We recommend a synchronised detection system monitored by a twenty-four-hour control room. This is because any chain is only as strong as its weakest link and we do not want your safety or our equipment compromised. To enquire about the practicalities and costs of electronically securing your loved ones, your employees or your business premises, just call QLD Diamond Security on 1800 553 788 or send us a message. The first thirty minutes cost you nothing, and there is no obligation to continue.